Bill Lee is a leading intellectual property litigator who has represented a variety of technology-focused clients for more than 35 years. Mr. Lee has tried more than 100 cases to verdict and argued more than 75 cases to the Court of Appeals of the Federal Circuit and other appellate courts. Those cases have included some of the highest profile patent cases of the last decade. He also has been a member of the faculty at Harvard Law School for more than ten years. Mr. Lee continues to concentrate his practice primarily on intellectual property and commercial litigation. His trial and appellate experience is extensive. Mr. Lee has tried more than 100 patent cases, both jury and jury waived, to judgment and argued more than 50 appeals before the Court of Appeals for the Federal Circuit and other Courts of Appeals. In 2014, he was named "Lawyer of the Year" for litigation/patent by Best Lawyers in America® and was one of eight finalists selected by The American Lawyer as "Litigator of the Year" in 2012. 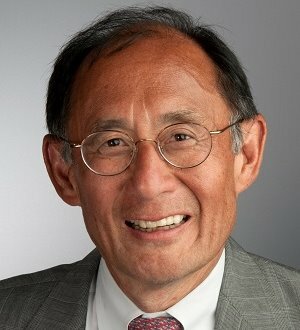 Mr. Lee has acted as lead trial counsel for Apple Inc. in the "smart phone war" litigations and in several cases between Broadcom and Qualcomm; and in a number of other federal court cases involving genetically engineered products, laser optics, video compression, cellular communications, remote data storage, secure Internet communications, pharmaceutical products, high-speed chromatography and medical devices. From July 1987 through June 1989, Mr. Lee served as associate counsel to Independent Counsel Lawrence E. Walsh in the Iran-Contra investigation. In that capacity, Mr. Lee was responsible for certain portions of the grand jury investigation and resulting indictments. He has also served as a special assistant to the Massachusetts Attorney General for the purpose of investigating alleged incidents of racial bias in the Commonwealth's courts. Selected as one of The National Law Journal’s 2005 "Top Ten Lawyers with Successful Trial Strategies"